I am a member of Collective Bias Social Fabric Community. I was compensated to shop for and write this delicious buttery holiday recipe as part of a social shopper insights study for Collective Bias and its client. I look forward to the winter holidays quite a bit. Here in Michigan it gets quite cold and the snow starts piling up into a spectacular winter wonderland. My favorite thing is waking up to peek out the window to see the freshly laid blanket of sparkling snow. Of course I do not enjoy the actual getting out of bed part, our floors get so cold, but I digress. Holiday baking goes into full swing in my kitchen. The cold weather makes me want to stay inside and warm the house with delicious smells. Baking for me is just one way I express my love for everyone I care about, especially during the holidays. We have a lot of family gatherings from small to large to attend and then a few parties with friends. Bringing something that I have made at home makes it feel more special. This recipe that I am about to share is a family favorite. We are mostly of dutch origin and from what I understand this recipe is dutch all the way. My mom used to make it all the time and she taught it to me. A full batch never lasts long so if you have a large crowd you may wish to double it. Using good butter is key because that's where a lot of the flavor comes from. I have almost always relied on Land O' Lakes (available at Walmart) sweet cream salted butter sticks to bake with. Land O' Lakes wraps their butter sticks in flavor protect wrappers that keep the butter tasting like butter and not the inside of the fridge. Flavor is very important when baking delicate baked goods. My recipe for these buttery holiday cheese triangles freezes well. Just bake from frozen but add a couple minutes to the clock. If you plan on taking them with you to a holiday gathering just be sure to ask your hosts to have the oven hot and ready. So crunchy, buttery and cheesy! 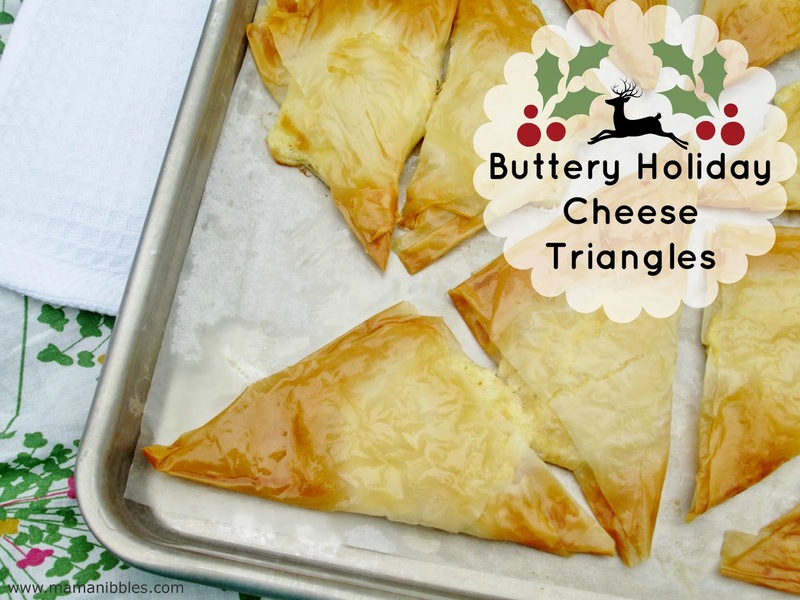 I hope these delicious triangles will make their way onto your table this holiday season. Follow Land O' Lakes on Facebook.